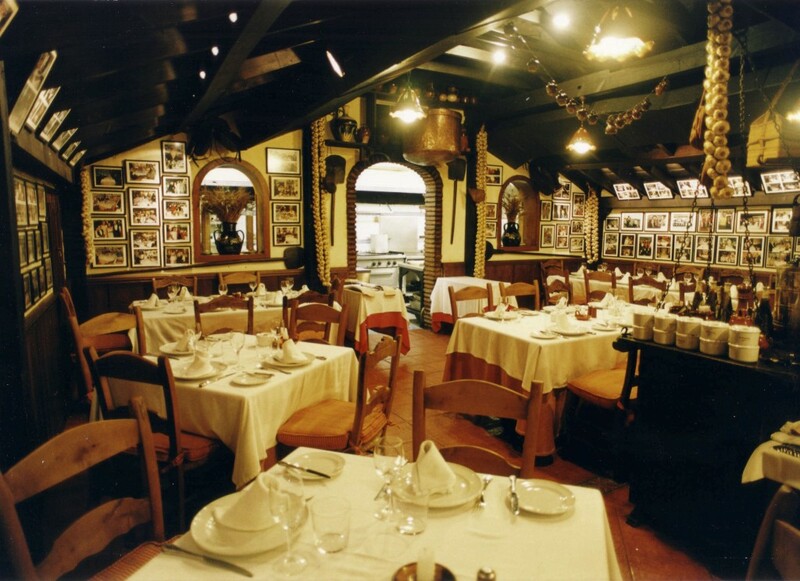 His first steps into a labour world, had nothing to do with the hostelry, although he has ended pioneer in Marbella, due to the fact that he founded the first typical Castilian style restaurant here. The place was, and continues to be El Rodeíto, next to Puerto Banus, at the entrance of the Golden mile. Today, 17 years later, and with a fully consolidated restaurant, Ricardo thinks of a future for his sons as followers of the first restaurant he established. The crazy idea of establishing here in the Costa del Sol, a highly calorific menu, contrasted with the Mediterranean food, resulted to be a success, due to the high number of locals, and foreigners coming in and happily accepting these kind of calorific dishes. In January 1988, Ricardo came to Marbella, already knowing about El Rodeíto Beach Club, which was (and still is) next to the road, and which served as a lodge, or tavern for the travellers and the workers from around the area. Obviously the place had nothing to do with what it is nowadays, as he analysed all its possibilities to proceed with a significant transformation: “When I saw the place, I didn’t even think about it, even though it looked more like a ruin than anything else”. Who knew the restaurant at that time, and know it now, can appreciate perfectly well the economical effort that this “palentino” did, who would not abandon this place for nothing in this world. My Gourmet Corner will be dedicated to El Rodeíto, traditional Castillan (wood fire owen), restaurant since 1988 ( a record for the region), originally a “truck stop canteen for 50 years on the road from Málaga to Algeciras ( the door to Africa) and Cadiz on the Atlantic, the name come from the surrounding mountains “El Rodeo” (nothing to do with Rodeo Drive in LA). The restaurant main attraction (beside the food) is “Open 24/24 hours” it never closes, a rare privilege for a top class restaurant, specially in Spain where good restaurants, have very defined rules on opening times and meal services. As I indicated, the restaurant is “Traditional Castillan cuisine” all “the food is cooked in a bakery wooden fire closed oven”, (50 years old never extinguished) so all the dishes, breads, fish, meats, etc…have a unique grear taste. Portions are large, so I suggest, and is recommended to sample the array of starters, to ask for “half portions” abd like that you have the possibility to taste all the specialties. Before you start you meal don´t forget to have Andalucian drink: (not exported- it cant travel) “manzanilla from Jerz de la Frontera with olives from Seville. Ricardo thinks about the future and this time the luck follows him, as it is obviously a great incentive for him the fact that his son wants to follow his steps, continuing with this hostelry tradition, which he worked for so thoroughly. You can imagine how difficult it was to open this kind of restaurant in a place where thinking of baked beans and blood sausages caused corporal heat. Nevertheless he comments he didn’t really have any problem with the meals, because plenty of people here come from the North of Spain, and like eating strong meals. 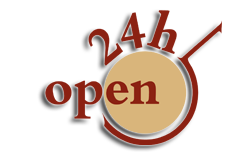 Another point is that it is open twenty four hours a day from Sunday to Sunday. Our main clients are basically locals, either Spanish or foreigners living here. Businessmen also come here to sign their deals or simply to celebrate Business meals. The atmosphere we have created here is ideal for these type of reunions or meetings, and each day more and more clients come to enjoy not only of this atmosphere, but of the excellent wine cellar, and the three different halls according to their needs. Ricardo is considered as the ambassador of the Castilian cuisine in Marbella , and one of his main ideas is to establish some gastronomic journeys in the locality, and possibly even locals and visitors will be able to enjoy them very soon. For the moment, El Rodeíto invites anybody who doesn´t know about us, with the guarantee that you will enjoy of the best meal and of an original Castilian atmosphere very close to the beach. ¿Anyone offers more?